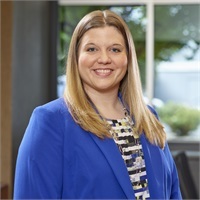 Kayla joined Hilliard Lyons in July of 2017. Kayla is Series 7 and 66 licensed. She is responsible for assisting with service related questions and strives to make every interaction a pleasant experience for our clients. She truly enjoys working with people and putting smiles on their faces. Kayla has a B.S. degree from the University of Southern Indiana. In her spare time, she enjoys reading, spending time with her family, and camping. She, her husband, and three children reside in Newburgh.